Could we get the a slower game speed please (like 1404). Or ability to edit when paused. Thank You all – dear developers team for delivering us this masterpiece! I cannot express happiness enough holding the real jewel in my hands – Pioneers Edition. What a deception from u guys, that focring us to buy anno on other plataform, and just cuz i got this game last year on Steam(cuz i’m a Anno fan) u guys decide to delay it? why Ubisoft and u guys don’t care about your custumers!? Hi there, I live in new Zealand and have pre ordered Anno 1800 on steam. However, despite the release time being 12AM on 16th April I am still not able to launch the game. Do release dates differ between platforms? Is there any way to get the game started? I find the communication a wee bit poor and would really appreciate a resolution. Is it me or is the Steam release kinda late? 20 minutes after release time and I still can’t start it? already in the open beta I saw that it will be an excellent game, I am counting the minutes until releasing the final game, I only regret not having support with Portuguese subtitles! Youhouuuuu ! Here we are !!! Too hyped that I will be able to play this Anno tomorrow ! 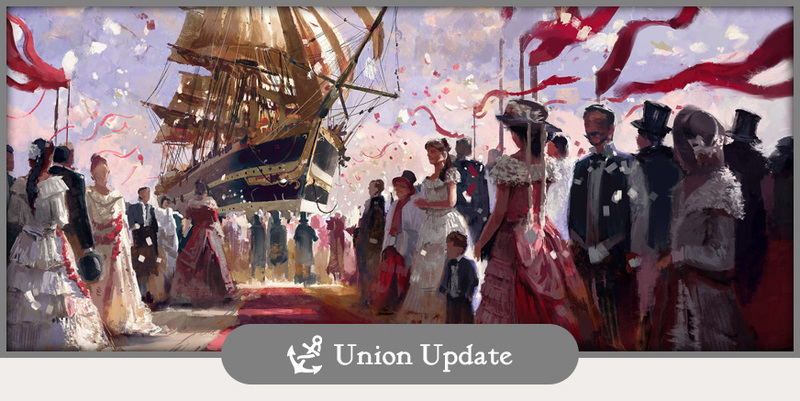 I want here to thank you guys, this Union idea was a revolution. Even if you can’t satisfy all of our requests, you did a very good job listening to us, and the result is here : as a long time player of Anno 1404 witch was the best Anno for me (I played all Anno, even 2205), I’m already seeing this 1800 as the new best Anno ever ! You achieved to restitute the Anno feeling, while adding more extra features to it. So because I bought it on Steam earlier, I have to wait a literal day (that is; 24 hours from now) instead of the 6 hours which would be EU release time? I hope that’s not an indication on how you’re going to treat your Steam customers in the future. “Timings on the Epic Games store and Steam vary, as we are reliant on our partners for these launches on their platforms.” Why are you getting mad at Blue Byte for something they cannot control? Not only were they not responsible for the decision to remove the game from steam, they also aren’t responsible for when steam decides to actually launch the game. 1. It is a publisher (ie. Ubisoft) decision, not a Steam decision. 2. To give out release times one day before actual release is just Really Late. Steam didn’t even know this yet, last time I looked. 3. The “exclusive Epic store release’ was also only announced two weeks ago. This is just bad publisher logistics. what are you talking about. Anno release in EU is in 16h from now not 6 hours. Its 12 AM on the 16th of April. As i see in The map, Anno release in 4 hours (London time). 11pm 15th April. 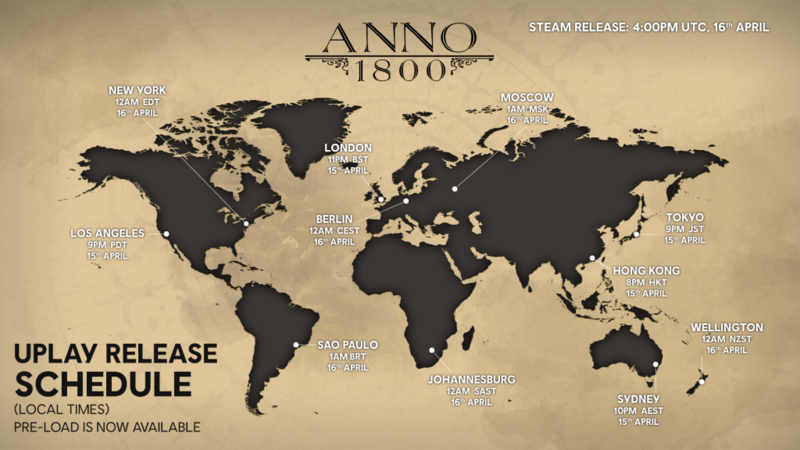 But if you are an steam buyer, The map says Anno realeses tomorrow April 16th at 17h for you. Anno buyers, second division buyers. Sorry, i mean Steam Anno buyers, second division buyers. Ubisoft has no say in the release time for Steam, That is down to Steam which releases new titles at that time regardless who the publish/developer is. Usually if i prepurchase a game on steam its usually around 18:00 before steam unlocks it. Das Anno ist echt ein super schönes Anno geworden. Vielleicht habt Ihr ja lust sie ins Spiel zu bringen.